Women in Champagne. It’s a simple title. I looked forward to learning and researching about Women in Champagne as we put together our piece for the Winophiles this month. As I set forth to do some research, I found two stumbling blocks, Champagne and Women. Do a search, try it now…I’ll wait. Probably the first things that popped up were dresses or shoes in the color of champagne for women. Ugh! Once you’ve waded through the photos of ladies in champagne colored gowns sipping flutes of Champagne, you might come across pieces on “The Women of Champagne”. Okay, this has a bit more merit. 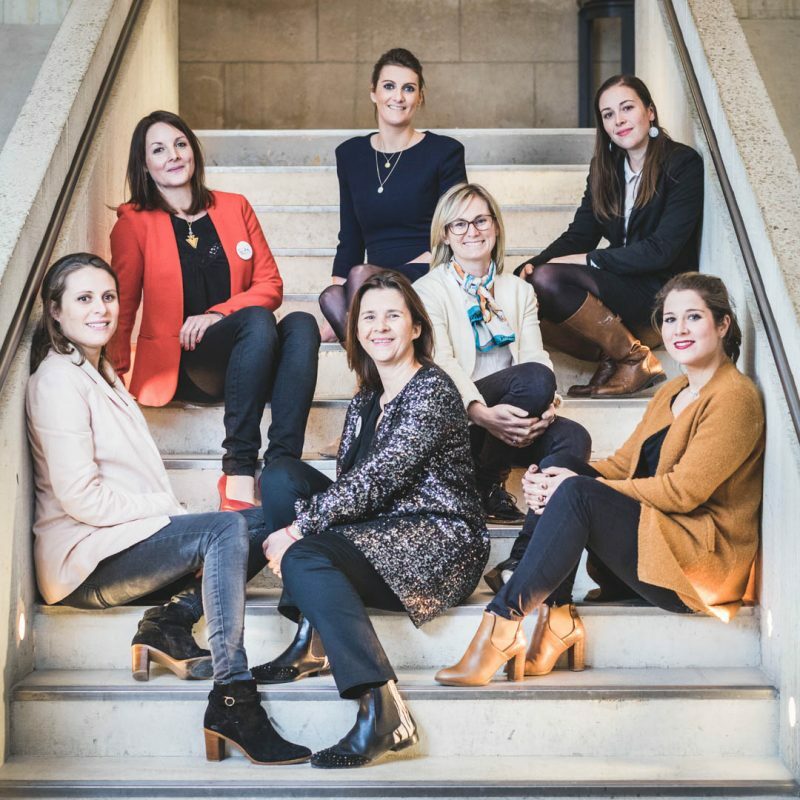 It will discuss the Grand Dames of the Champagne region, beginning with the Widow Cliquot and moving on to the women in the industry who work for or are part of the families of the big Champagne houses. Kudos to all of them! You can read a great piece on them here at Food&Wine https://www.foodandwine.com/wine/champagne-sparkling-wine/future-women-in-champagne , but this was not what I was looking for. I was looking for the boots on the ground women in Champagne. Where were the female winemakers, owners of a small vineyards or women working with their families in Champagne for small wineries. I wanted to talk about women on the ground getting their hands dirty, making delicious wine, not about a large corporation. They discussed several organizations in Champagne for/by women including La Transmission and Les Fa’Bulleuses. Ahh….at last. These were the women I was looking for. 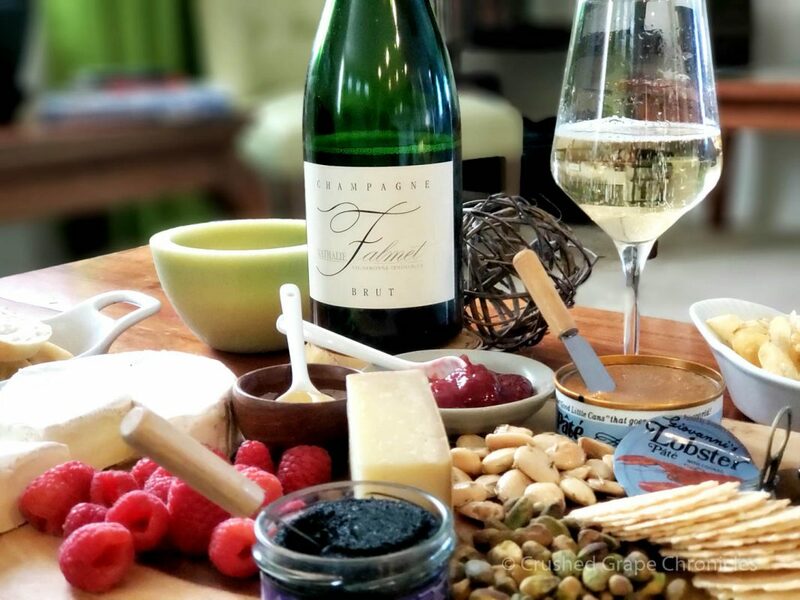 I reached out to Les Fa’Bulleuses for some information and Charlotte de Sousa of Champagne De Sousa was happy to provide me with some additional information. 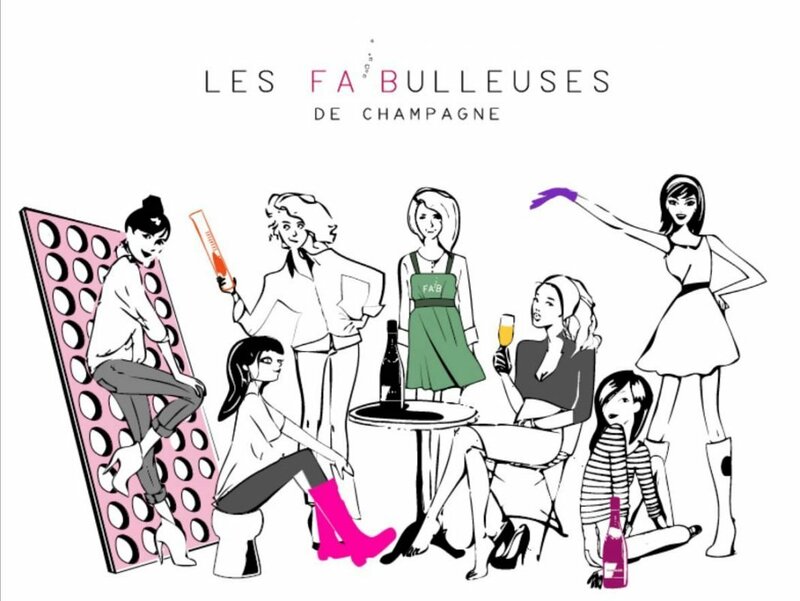 Les Fa’Bulleuses are a group of women in Champagne who have gathered together to market their family wineries in Champagne. More than that, this group has become an indispensable resource for each other. “Each of us comes from a different village and has a very singular history … But what unites us, above all, is this unconditional love that we have for our wines and our terroirs. Versatile and dynamic, we practice the noble profession of winegrower in its entirety. At the same time present in our vineyards, in vinification and cav, we like to learn, observe, communicate and especially share. Charlotte was kind enough to give me her thoughts on the group. They have a map of 7 of the houses linking all the areas of Champagne. I encourage you to check out the Les Fa’Bulleuses site and dig deeper into each of these houses! So I went to look for a bottle of Champagne. The same issues as before came up. It’s hard enough to find Grower Champagne, but then one made by a woman? I hit up wine.com. They pointed me to Veuve Cliquot. I explained that I was looking for a female winemaker. They pointed out that the Champagne houses typically have teams of winemakers that often change so finding and keeping track of a female winemaker there can be exciting for research (I would have said challenging). I had to come back around to “Grower Champagne” and while they did not have any wines by the wineries of Les Fa’Bulleuses, they were able to find me one by Nathalie Falmet. 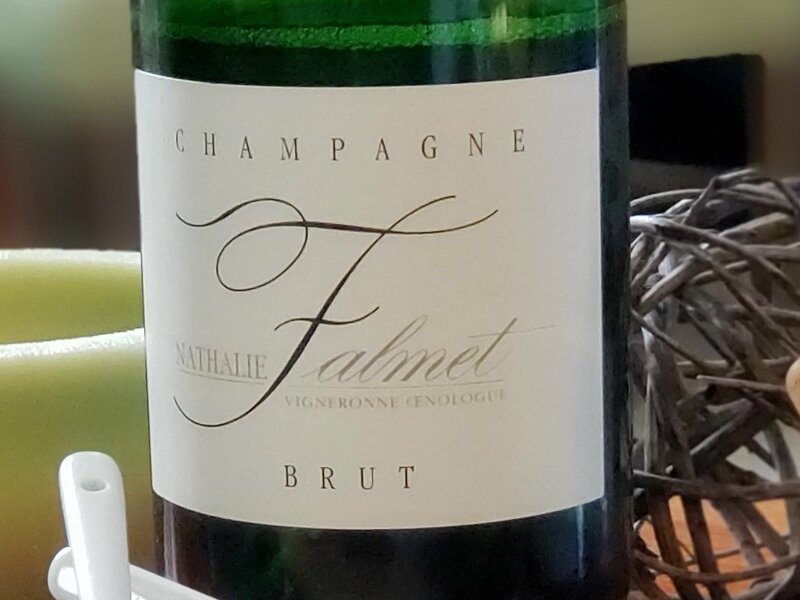 Nathalie Falmet was the first female oenologue in Champagne. Her label proudly lists “Champagne Nathalie Falmet, Vigneronne Oenologue. I was able to find a piece written about Nathalie on the Scala School of Wine site. With a degree in chemistry she went on to become an Oenologue. In addition to making her wines, she runs her Bar-sur-Aube consulting laboratory. The tiny estate (which is just 3.2 hectares is in the Côte des Bar in the Aube department. An area which has been getting more and more attention. We tasted the Brut NV. Tim Hall with the Scala School of Wine spoke about the style and production method. Champagne has always seem feminine to me. It is elegant, festive and comforting. The bubbles cheer you and that waft of yeast, like fresh baked bread, wraps you in a comforting aroma. A few years ago we did a project with my dear friend RuBen, where he created beautiful art inspired by wine and we did pairings. The event was called Crushed Grapes and Open Minds. One of the pieces he painted, I am lucky enough to still have gracing a wall. 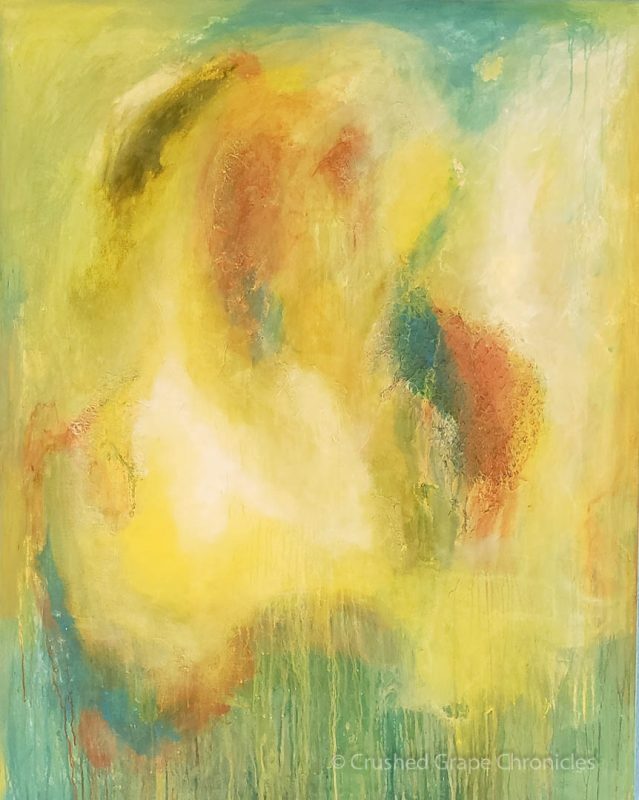 This piece was based on his interpretation of Champagne. The painting is vivid, yet soft and I always have the impression of a mother cradling a child. This felt like an appropriate backdrop for this piece. I encourage you to visit RuBen site at Act2Art. He is a brilliant artist, working in multiple mediums. His art, writing, costuming, photography and other design are amazing. I am truly lucky to call him a friend. We were popping this beautiful bottle from Nathalie Falmet on the day before my birthday, which happened (kizmet) to be International Women’s Day. So there was much to celebrate. In looking for pairings, I wanted to span that gap of elegant and comfort. 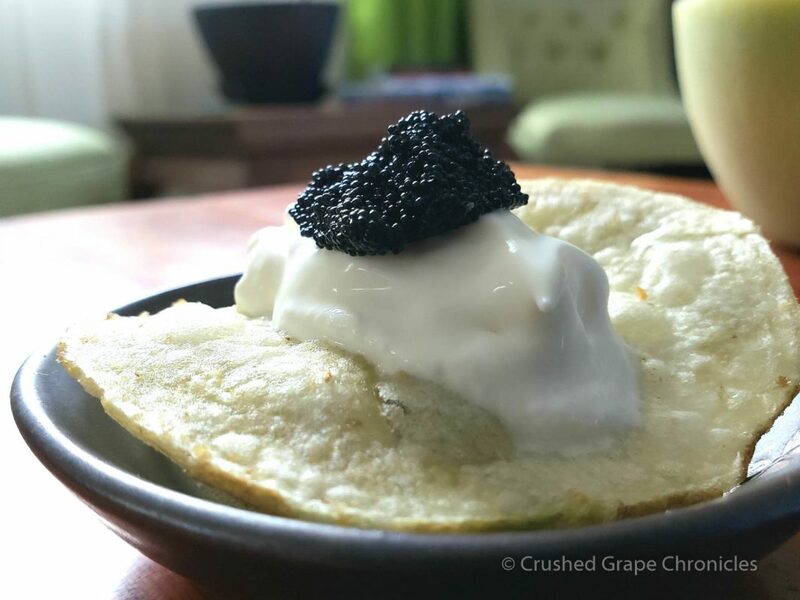 So we started with caviar and creme fraiche on a beautiful salty potato chip combining two classic pairings, caviar and potato chips. It was a gleeful and blissful pairing. We also enjoyed some classic pairings, brie, raspberries, nuts and lobster pate (although the lobster pate did not go as well as I would have wished). Then, we did a high brow mac & cheese. 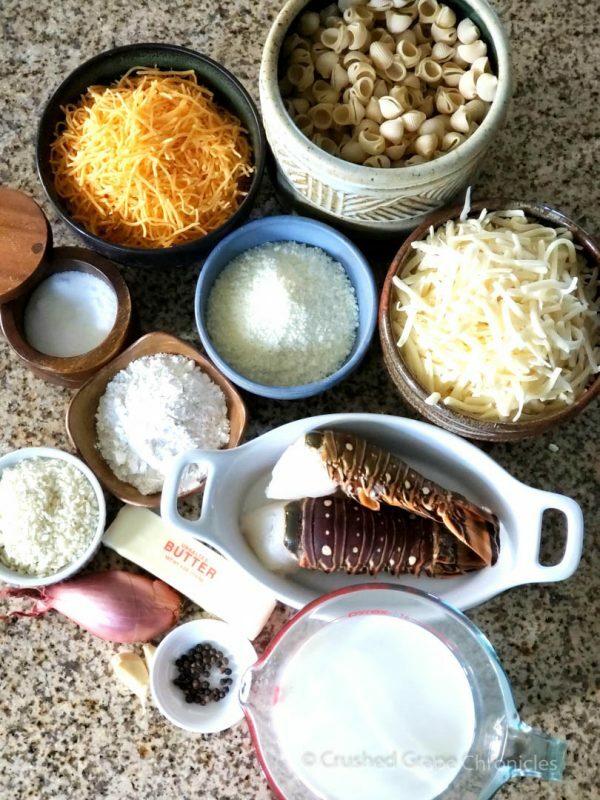 I found a recipe for lobster macaroni and cheese and dove into this! The recipe seemed manageable and still a little fancy. More than once I worried that I had done a step wrong, but in the end, it came out beautifully. You can find the recipe here. And…we ended up with lots more than I expected! So the celebrating continued throughout the week. 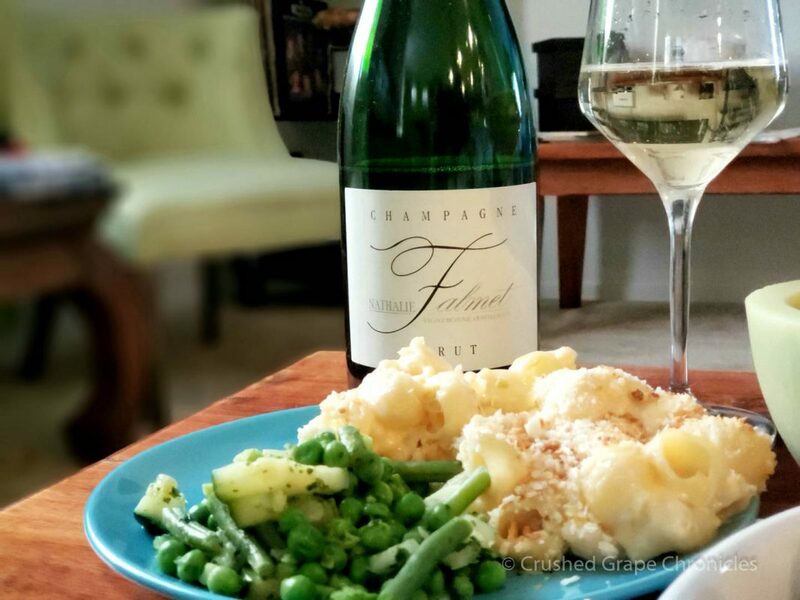 (Lobster mac and cheese makes for a spectacular leftover!) I did add some vivid green vegetables to make this a bit healthier of a dinner. We finished it off simply with another great pairing for champagne…shortbread! Wrapped up with the mac & cheese, I didn’t bother to make this myself, but it was delicious and easy. So that is my take on Women in Champagne. I cannot wait to read the perspectives by the other French Winophiles. I encourage you to dive in and enjoy some additional terrific reads below. And…you can join us to chat about the Women in Champagne on Saturday March 16th at 11 am EST on twitter! Just pop in #Winophiles and follow along, or join in! 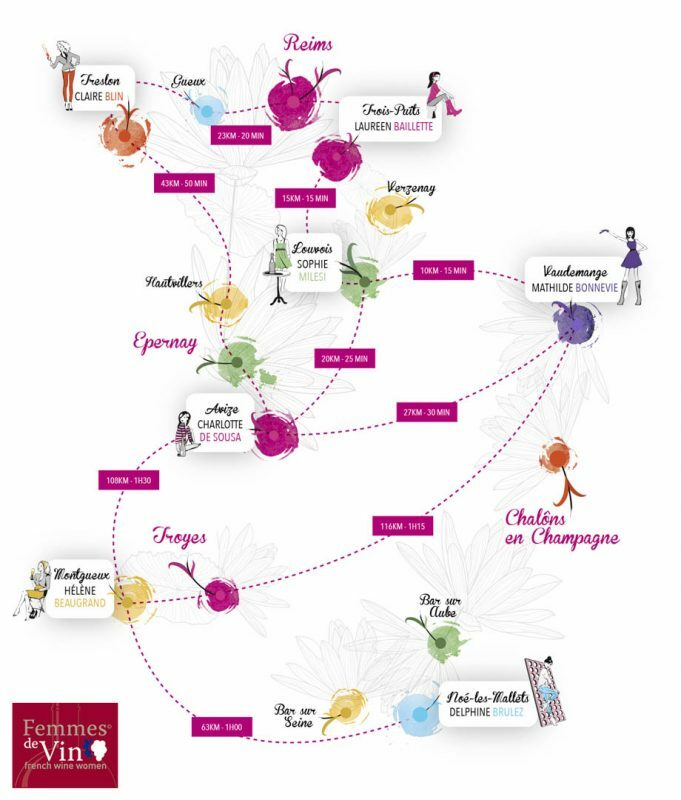 Tell us about your favorite Women of Champagne!